We are very pleased to announce Nora Jane Struthers and her band, The Party Line, as the first confirmed show of our Fall "Red Barn" series. And equally pleased that NJS will be supprted by local favorites Jenny & The Jags. Born in Virginia and raised in New Jersey, Nora Jane grew up playing and singing bluegrass and country music with her banjo-playing father. 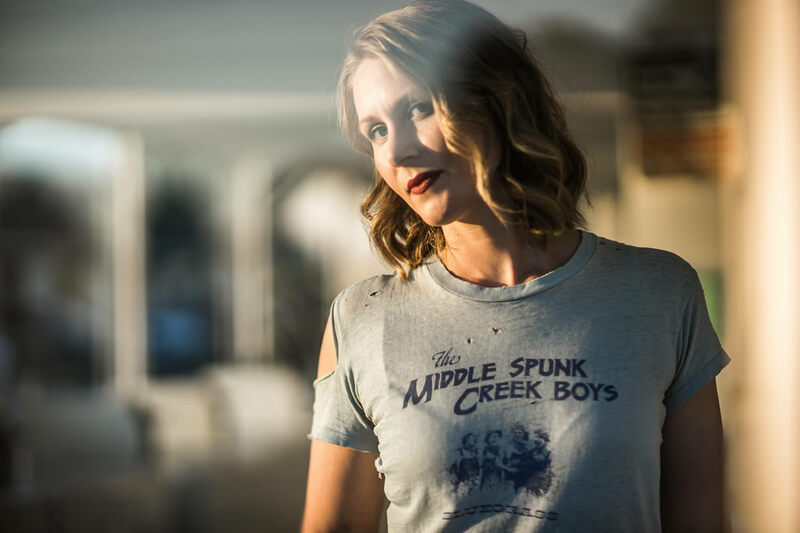 After a move to Nashville, Tennessee and a brief stint fronting the band Bearfoot, in 2012 she formed her band the Party Line and started taking her songs on the road, creating a sound that blends infectious rock with her country roots. She fronts the band on acoustic and electric guitar and is joined by Joe Overton (banjo, fiddle and steel guitar), Josh Vana (electric guitar and harp), Brian Miller (bass) and Drew Lawhorn (drums). Now, after hundreds of performances at venues and festivals from coast to coast, the band is known as much for their tight, high energy live show as for Struthers' smart and disarming lyrics. There’s an honesty and energy to Nora Jane’s stage presence; a vulnerability that is part and parcel of great artistry. In one moment, she joyfully leads the audience in a dance party … in the next, she lays her soul bare for the world to hear. A performance by Nora Jane and her band is full to the brim with stellar musicianship, unexpected arrangements that blur the lines between folk, roots, and rock, and an audible sense that everyone in the room is having a damn good time. Parking at the Red Barn will open at 6 PM. The music will start promptly at 7. This event is for age 21+ adults only, and is BYOB. Feel free to bring snacks or a picnic meal. We have seating for 60 inside the Red Barn - but the Barn holds more than 60 - so bring a folding chair if you want to make sure you have a seat. MNOJ is picking up 100% of the ticket agency fees for this event. Tickets will be $20 at the door, so save yourself a couple of bucks by reserving your space today! The Red Barn Series is not a commercial venture. The shows are, essentially, backyard house concert parties. 100% of proceeds from registrations will be distributed among the following: Musicians, sound crew, porta-potty rental.